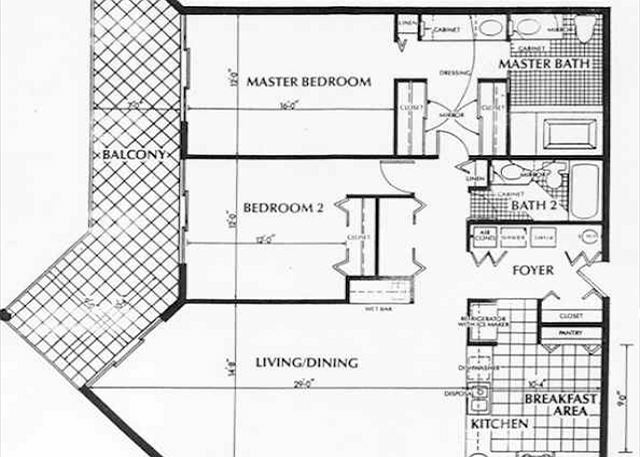 Below you will find a floor plan for a two bedroom, two bath condo rental at the 1800 Atlantic Resort on the beach. Most of the two bedroom vacation rentals at the 1800 Atlantic Resort will feature a similar layout. There are a few three bedroom units available for rent if you have a larger group and need more space.